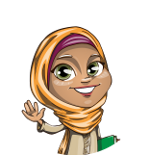 What does Hina (Muslim Arabic Name) mean? The name Hina (Arabic writing : هينا) is a Muslim girls Names. The meaning of name Hina is " The Indian privet, a shrub "
Hinaa هنا The Indian privet, a shrub, the leaves of which are used for dyeing the hands, feet and hair.